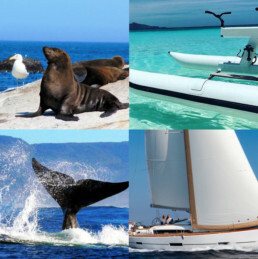 GLIDING ACROSS THE OCEAN on the worlds most advanced water bike is a totally new and unique way to experience the incredible marine environment of False Bay – renowned for its stunning ocean and mountain views and marine wild life, including whales, dolphins, seals and the famous African penguin colony. 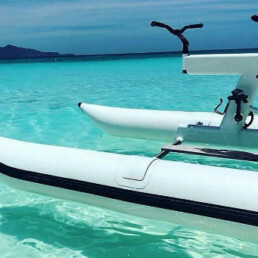 Our premium water bikes are silent, do not emit any emissions, do not require fuel and they will allow you to safely explore without an environmental footprint. You get a different perspective of your surroundings because you are elevated quite high off the water when sitting on a water bike. 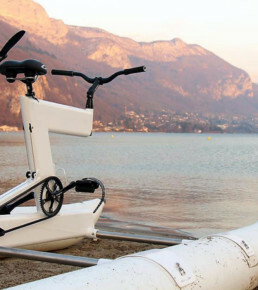 These easy, no hassle water bikes are very stable and simple to steer. They do not need balancing as with conventional bikes. No previous experience or special skills are required. 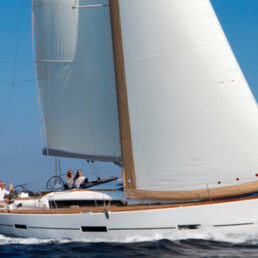 The only requirement is you must be able to reach the peddles, (generally a minimum height of 5 ft). We offer guided tours to the world famous African Penguin colony at Boulders and walk-in rentals from R290 from the Simon’s Town pier. 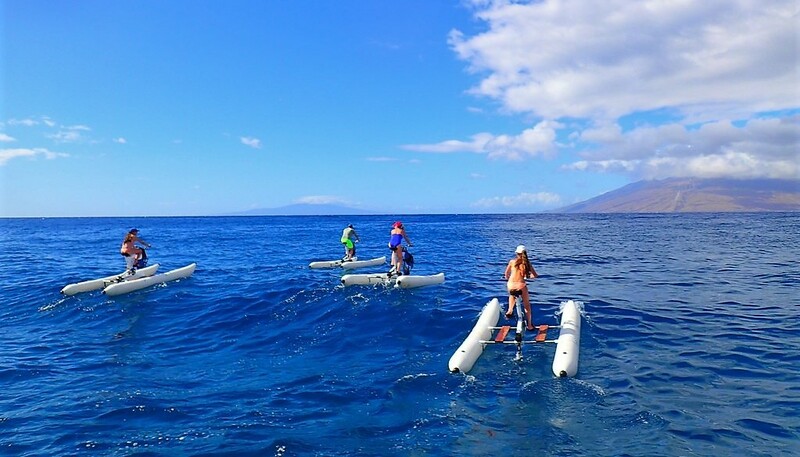 You are welcome to call and pre-book a water bike rental for 30 minutes or 1 hour. 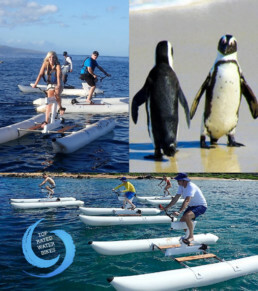 Our precision engineered water bikes offer a fun filled exhilarating water-based activity, never before experienced in South Africa and this is a truly sustainable adventure. 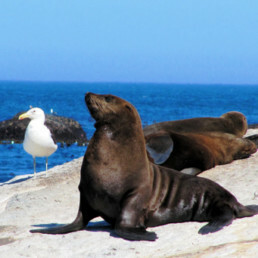 We offer guided tours to the world famous African Penguin colony at Boulders and walk-in rentals from R290 from the Simons Town pier. 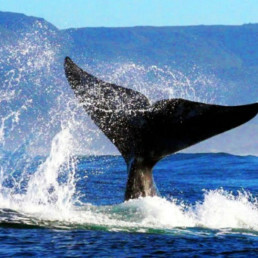 Address: Wharf Street, Simon’s Town. © 2018 Cape Town Water Bikes. All rights reserved.